Learn everything you need to know to find dye locations and customize your look in The Division 2. Dyes are a great way to customize your gear and make your agent stand out even more in The Division 2. If you want to change the color of your backpack and other gear, then knowing how to find dye locations is going to be extremely important. Here’s everything you need to know. The first step to gearing yourself up with new dyes is going to be finding some new dyes. Unlike weapon paints, which can be earned quite a bit through The Division 2’s campaign, finding yourself dyes is going to be a bit trickier. While some can be earned through random drops, others can be found while completing missions and other activities in The Division 2. Shooting these orange containers will reward players with new dyes and other gear. One of the best ways that dyes can be found is by looking out for orange containers that players will find while out exploring the streets in Washington D.C. These containers will often be found hanging from trees, buildings, and other obstacles that catch the parachutes they were released with. Because of this, I’d suggest always keep an eye on the area just above you when you’re walking around. I’ve spotted a few dye containers this way, and it’s proven one of the best ways to find them. 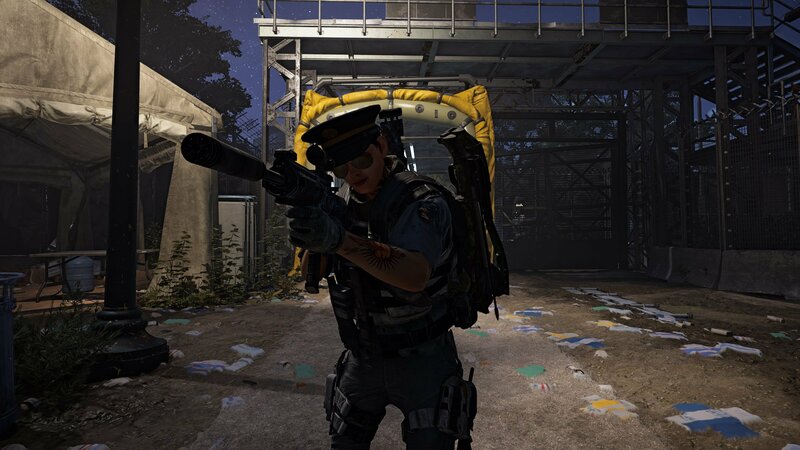 Players can also learn how to find Cassie Mendoza, the secret vendor in The Division 2. When you’ve found one of the orange containers I mentioned above, you’re going to want to aim at it and shoot it with your weapon. This will cause it to open, spilling its contents onto the ground beneath it. You can then walk up and loot the items, including the new dye that it contains. If you’re having trouble finding these orange containers, or just aren’t sure what you’re looking for, head to the area I’ve marked on the map below. There you will find one of the containers I mentioned. This should give you an idea of what you need to keep an eye out for. 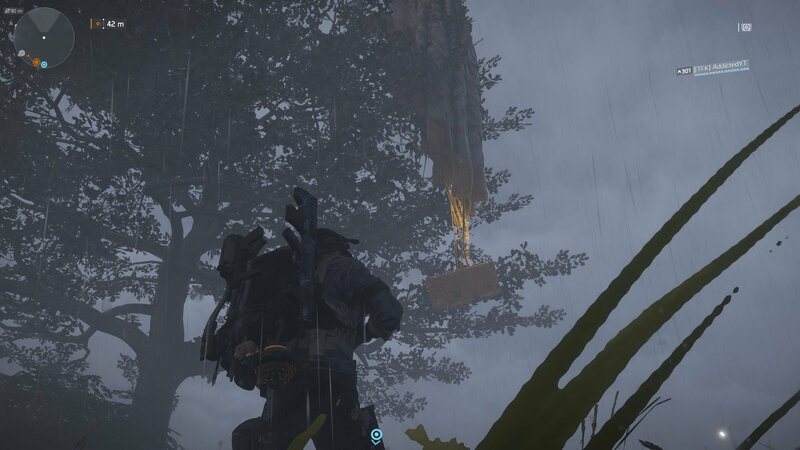 Just east of the DCD mission, players can find one of the orange dye containers hanging from a tree. Of course, there are other ways to find dyes. As mentioned before, they can be acquired as rewards for completing missions and activities. You can also score yourself some dyes with random drops found throughout the world, like you would get any other weapons or gear. 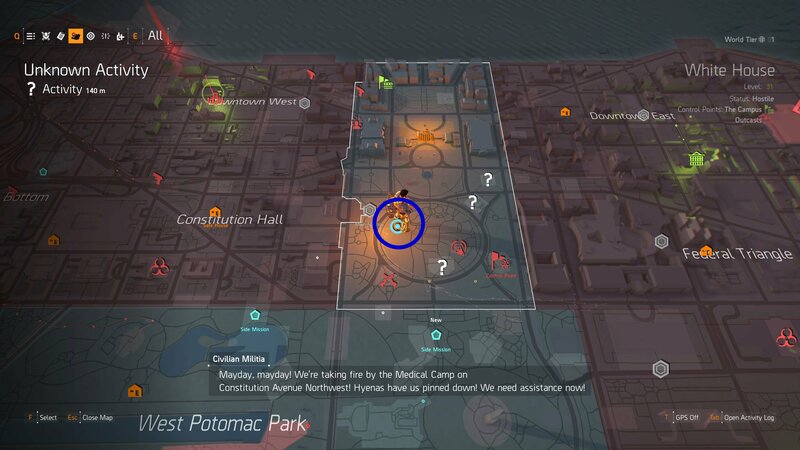 Now that you know how to find dye locations, head back over to our The Division 2 guides for more help unlocking all of Washington D.C.’s secrets. So the secret is random locations. Got it.